So, have you wondered the health benefits of ginger? Well, ginger is an herb from China, and it has been used as medicine there for centuries. The reason is that ginger contains a property called gingerol, which fights inflammation in your body. Ginger is a really handy herb, and it has various medicinal uses. It is also a very healthy herb that can be used by anyone of all ages. Be aware. However, that ginger has a bitter taste to it, so you may want to take it with water or honey. You can use ginger for nausea, reduce muscle pain and soreness, lower blood sugar and reduce the risk of heart disease, treat chronic indigestion, lower cholesterol levels, and prevent cancer. Whatever you need it for, ginger can help you with the problem with its antioxidant and anti-inflammatory properties. Its antioxidant properties can slow down oxidized cells that intend to do harm to the body. It fights inflammation with antioxidants. Gingerol helps fight inflammation and it has antioxidant properties that will slow down oxidant-like cells that would have otherwise damaged your body. Ginger is from an herb that’s been growing in China for centuries and the Chinese people have also been using ginger for medical purposes for centuries because of the gingerol within the ginger that helps the body with so much. 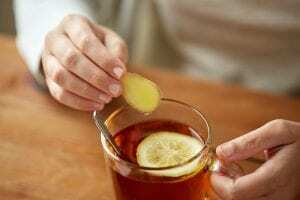 If you have nausea, then ginger will help you feel better. 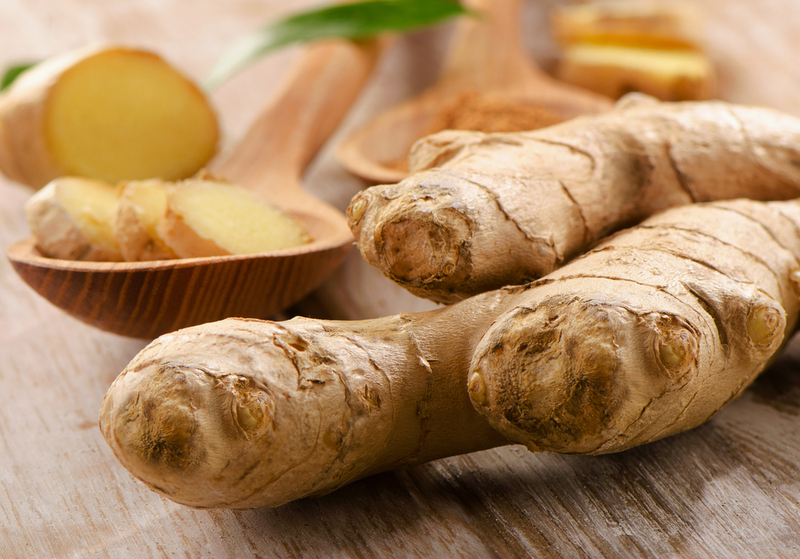 Even if you are pregnant and you have morning sickness, ginger will help you feel at ease. And if you ate something funny that gave you a feeling of nausea, ginger will settle your stomach with that as well. It’s also good for nausea after chemotherapy if you were ever to undergo chemotherapy for cancer someday for some reason. Ginger will reduce muscle pain and soreness because of its anti-inflammatory properties. So, if exercise is part of your everyday routine, ginger will help ease the soreness and muscle pain you feel as a result of those exercises. It will help fight osteoarthritis because it is also anti-inflammatory. Your organs won’t be inflamed or infected. In this way, it can help with osteoarthritis, a health problem that degenerates the joints you have in your body. If you have osteoarthritis and take ginger, you will be in a lot less joint pain and won’t need as much prescribed medicine. You also won’t suffer as much side effects from prescribed medicine if you take ginger to prevent or fight osteoarthritis. Or just any other form of arthritis since ginger can help fight off any forms of inflammation, especially if it’s on the joints. You won’t be getting diabetes with ginger around to help. Neither will you get a heart attack or any other heart diseases down the line. If you need to lower your blood sugar, then ginger will help you do that. If you want to prevent heart disease, ginger will help you prevent that, too. Still, you may want to cut back on the sugar as well, though, because ginger can’t do all the work for you. There really needs to be a balance between how little sugar you eat and how much ginger you eat as well. That way, your insulin levels will be sure to drop in no time and so, too, will your blood sugar levels. In addition to nausea, ginger can also treat chronic indigestion and help you empty your stomach of digested food, toxins, and wasted. So, if you feel like your upper stomach is in pain, then ginger will help you empty your stomach and relieve you of that pain. It beats taking an Imodium, though. Ginger can also help with menstrual pain since it can help with the inflammation of the ovaries during this time. 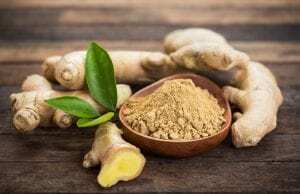 If you find this information useful in your life, then you should know that ginger can effective relieve menstrual pain just as effectively as PMS medicine or Tylenol. And ginger is a healthier option as well. The LDL of bad cholesterol, the triglycerides and blood sugar levels, can be lowered by ginger. If you have trouble getting your cholesterol down and cutting out the grease and fats aren’t enough, then ginger can help you lower your LDL levels all the way to normal levels. That way, you won’t have to worry about your risks of stroke or heart diseases. Ginger can prevent cancer because it can slow down the growth of the white cells that cause cancer to form by anti-oxidizing the oxidizing properties of the white cells in your body. It’s a way to avoid paying a lot for chemotherapy if you ever get cancer in the future, that’s for certain. And even if there is no guarantee that ginger won’t prevent cancer for you (since life can be unpredictable and everyone’s bodies react differently to different things, ginger included) it’s at least worth a shot since medical bills for chemotherapy and other cancer treatments are expensive. So, for those things alone, at least, trying ginger for the chance to reduce the risk of cancer is worth it. Overall, you can use ginger for nausea, reduce muscle pain and soreness, lower blood sugar and reduce the risk of heart disease, treat chronic indigestion, lower cholesterol levels, and prevent cancer. Whatever you need it for, ginger can help you with the problem with its antioxidant and anti-inflammatory properties. Its antioxidant properties can slow down oxidized cells that intend to do harm to the body. It fights inflammation with antioxidants. Ginger is great to have to fight inflammation and various diseases. After all, the Chinese have been using Ginger as a medicine for centuries so there must be some benefit to the spice. Whatever the ailment and whatever the inflammation, ginger probably has you covered. If you need it for arthritis, then ginger most definitely has you covered.